Hah. But really, it's a safe bet. You're closer to finishing than not, and pieson isn't to the point where you took over yet. I still have about 20 episodes of book one left to catch up- so i'm rooting for you xirix! I'm also looking forward to things getting weirder, if what I read here on the talkhaus is anything to go by. Piesonscreations wrote: ↑ This came to mind when George got too distracted thinking of justice to pay attention to what was happening. Hahahaha I'm literally sitting here in bed cracking up. To be honest, I miss cats a lot. It's a shame she was a bit flakey near the end. I'd be fascinated to know what she thought of what's been done with Boolina. I'd love to bring her back for a cameo, tbqh. Yeah, I was a bit bummed out when i learned that there would be a cast change for book two, but still looking forward to the new members! Also, i'm gonna miss cats' adorable giggles, but thankfully (and hopefully) i'll still get raocow's legendary wheezes. And by the way, i'm super on board with the idea of guests, for like a session or two. Maybe they could play what would otherwise be NPC characters. Well, i've got like 15 episodes of book one left now. I usually watch them as i draw these things, so i think i will catch up before like 2 months go by. But hey, i would've watched most of it all chronologically! Don't forget to go through the "Book 1.5" section in the first post of this thread before transitioning to Book 2, though be careful about the Live Session recap, it will minorly spoil some of Book 1 that's still coming up, but it also covers some stuff that wasn't recorded... so tread carefully there I guess. Yeah, I don't know if you mean you're 15 episodes until the end of what was originally Book 1, or 15 episodes behind the new Book 1 stuff Xirix is editing. There's Book 1, then there's More Book 1, then there's the 1.5 gap (some of which was livestreamed), then Book 2. I mean 15 episodes to catch up to what's been uploaded. Hopefully, i'll remember to check 1.5 out. Oh, and also, there's some missing stuff on the NPC fanart and general campaign/fanart sections of that first post by Horikawa. Man, this is really some Kingdom Hearts stuff going on with Let's Cortex. Yeah Horikawa cleaned up the first post to remove old character sheets and the like, I think she was going to put all the fanart in an album or something but she hasn't gotten around to it yet. 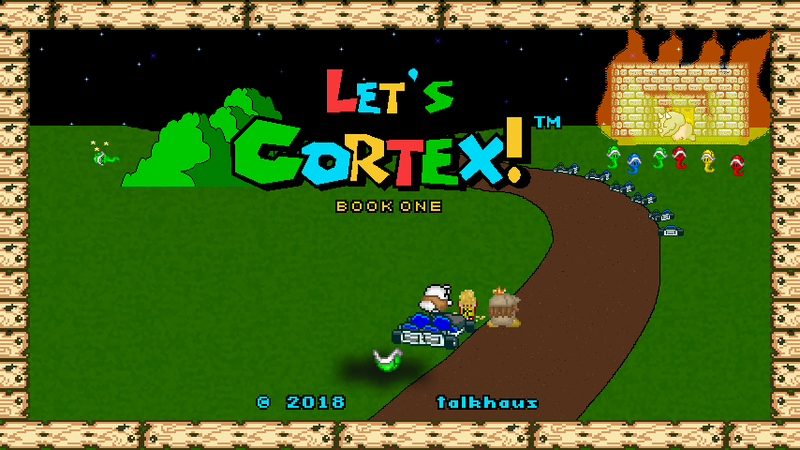 Man, Let's Cortex really has it all. Murder, Drama, Mystery, Romance, Murder. Jokes on Jakey Boy, George doesn't have hands. Oh my god XD Yes! Anime-ised cortex characters, I love it. ^^ George is freaking adorable there. Xirix wrote: ↑ Oh my god XD Yes! Anime-ised cortex characters, I love it. ^^ George is freaking adorable there. Thank you! I'm sure that's just how George sees everyone in her maiden heart, oh so easily swooned. I'll have you know that this artwork has come up several times now in Cortex sessions haha. We are all huge fans! Horikawa Otane wrote: ↑ I'll have you know that this artwork has come up several times now in Cortex sessions haha. We are all huge fans! The funniest part of this event is probably the aftermath of this, but this was still pretty good. Happy to say I only have one session left to edit for Book 1, gonna try and just get it done this week I guess. Thanks Horikawa! That's the face of someone who absolutely knows what he's doing. Just a heads up to anyone who checks this, the normal schedule will resume shortly, I don't have the time to get a Book 2 episode out for tonight but I should be able to for tomorrow, just been really hectic recently. Too many things to apologize for. But here's a little bit of what I was thinking of during book 1 episodes 45-47. Backgrounds are not my strong suit. last time editing I hope, thanks all for the suggestion! Last edited by Kellins on 08 Nov 2018, 03:12, edited 2 times in total. Hah that's great dude, I don't blame George and Jakey Boy for just chilling back and watching, the whole House of Turner part was pretty all over the place.